likes to consider themselves San Antonio’s best carpet cleaners. They realize that there other great carpet cleaners in San Antonio that offer great customer service and they do a great carpet cleaning. However, with Beyer Carpet Cleaning not only do they have great customer and carpet cleaning they also offer great prices! With each of their best service carpet cleaning discount packages Beyer Carpet Cleaning offers a steam clean, vacuum, prespray, and deodorizer. Their technicians are well trained so when they arrive to your home they will do a walk through of the rooms needing to be cleaned. They will point out any areas of concern. After the carpet cleaning if those areas did not improve they will offer an alternative solution. With each additional treatment if Beyer is unable to remove the stain or improve the look they will not charge you. It is important to Beyer Carpet Cleaning to be fair and just with their prices. They would not feel comfortable charging you for a treatment that did not work. There are a lot of carpet cleaners in San Antonio that would charge you anyway but Beyer wants to earn your loyalty to use them every time you need your carpet cleaned. Beyer Carpet Cleaning wants each customer to have to best experience and not to feel like they hit them over the head with ridiculous prices. 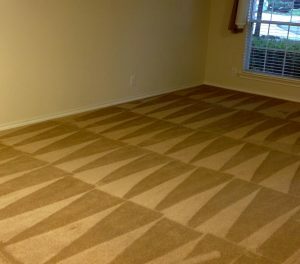 Just as other carpet cleaners in San Antonio offer other services so does Beyer Carpet Cleaning. Beyer Carpet Cleaning offers tile and grout cleaning along with upholstery cleaning. Once again what separates Beyer Carpet Cleaning from the other competitors is that they offer great prices. Their tile and grout cleaning includes an alkaline cleaner, scrub, steam, and polish. Once your tile and grout cleaning is complete your tile will like new. You will be impressed not only with the cleaning but also with the price. Once you find out how much Beyer Carpet Cleaning charges per square foot for tile and grout cleaning and what other charge you will be happy you went with Beyer. Their upholstery cleaning includes a steam, vacuum, prespray, and deodorizer. Your upholstery will look good s new and smell great too. Beyer uses a low PSI to steam clean so your upholstery isn’t soaking wet. They only want the cloth to be damp because if steam gets into the cushion it could cause mold and mildew to grew and that is no good. The prespray will remove any spots or stains and bacteria or germs living in your upholstery. So call Beyer Carpet Cleaning for all your carpet cleaning, tile and grout cleaning, and upholstery cleaning needs. You won’t regret it!